Take an up-front and behind-the-scenes look at The Doors. Although their career with their wild and unpredictable frontman lasted barely six years, The Doors are one of the most mind-blowing bands in rock history. Formed in Los Angeles in 1965 by UCLA film school acquaintances Jim Morrison and Ray Manzarek, the band became famous for a sound driven by powerful keyboards and haunting, stream-of-consciousness lyrics. Rounded out by guitarist Robbie Krieger and drummer John Densmore, the quartet released a string of six highly successful studio albums. Jim Morrison's death at age 27 didn't stop him or the band from joining the rock world's pantheon. 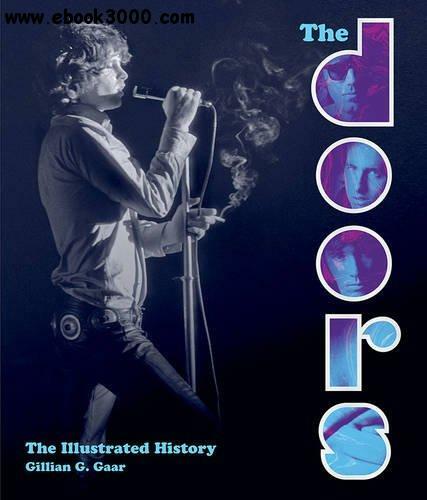 The Doors: The Illustrated History is an extensive, chronological examination of the band's career with Morrison - a period which, though brief, suffers no shortage of tales and anecdotes - as well as their short stint as a trio post-Morrison and their more recent collaborations with the likes of Ian Astbury, Perry Farrell, Scott Weiland, and Skrillex. Candid concert images, revealing offstage photographs, and images of memorabilia like picture sleeves, gig posters, ticket stubs, buttons, and more comprise over 250 illustrations. A roster of respected music journalists' insightful analyses of each of the band's studio releases completes this in-depth, up-close look at this intense group of musicians and the legendary music they created. No fan will want to miss it!